Only the best trivia champs can ascend the tree of knowledge. Relentless Software knows a thing or two about trivia games. Its flagship series, Buzz, has sold over ten million copies across different PlayStation systems. Now the team has partnered with Chillingo to create Quiz Climber for iOS, a user-friendly and addictive title that puts all that knowledge inside your head to great use. 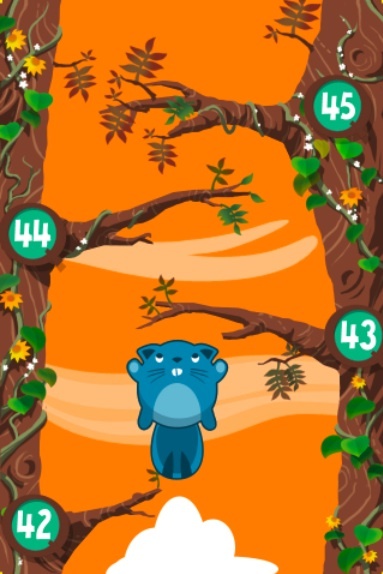 In the game, you answer multiple choice questions to climb the virtual ladder, or in this case, a tree. Tapping the screen triggers the next question, and getting it right results in your avatar, a cute squirrel, moving to the next branch. What's especially cool about this is the multiplayer mode that displays your friends' squirrels and their position on the tree. Successfully answer more questions, and you'll pass them in real time. Screw up, and you'll be able to use a life line to keep playing, but you only receive a limited number of them per round. The game has thousands of questions, and Relentless plans to include more via updates. The company also designed software that tracks correct and incorrect answers to determine the toughest questions. We've been looking for a cool trivia game for the iPhone, and Quiz Climber should scratch that itch. Look for it sometime next month.